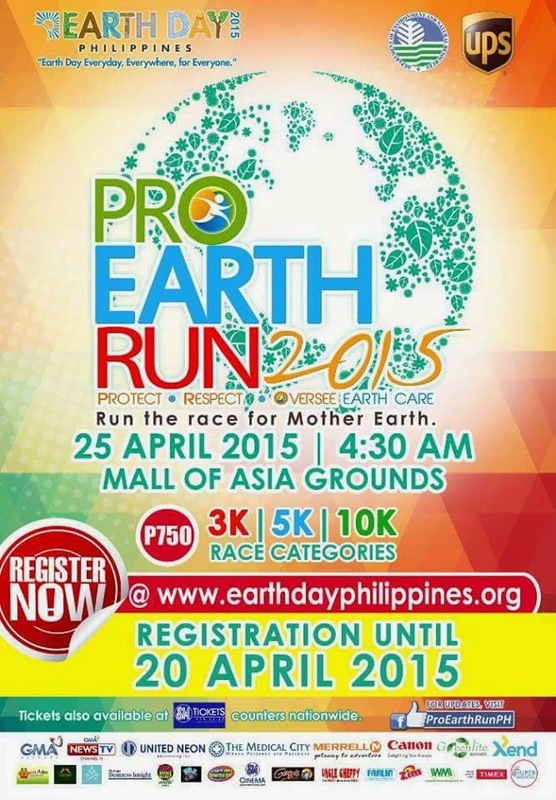 Earth Day Network Philippines (EDNP) holds Pro Earth Run 2015 happening on April 25, 2015 (Saturday), 4:30AM, at the Mall Of Asia MOA Grounds in Pasay City. 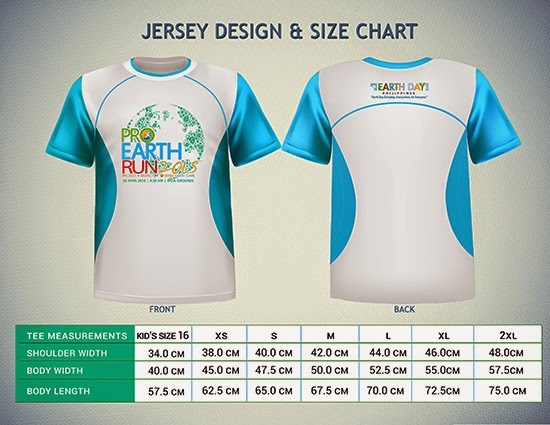 This project encourages people to take active lead in protecting, respecting, and overseeing Earth care by running the race for Mother Earth. 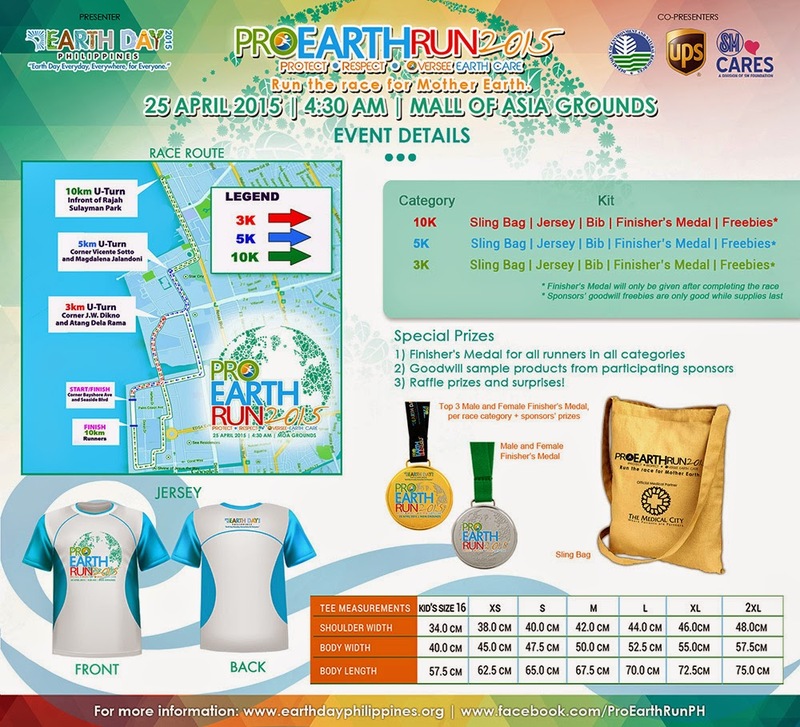 Proceeds of the advocacy run will fund the continuing projects and programs of Earth Day Network Philippines such as Watershed Restoration and Forest Conservation, Re-Charge Tacloban, Zero Basura Olympics, and Mini Carbon Olympics. On its second year, EDNP is at the forefront of the annual worldwide April 22nd Earth Day Celebration. It actively engages the participation of people from government, corporate, religious, and academic institutions to rally together behind environmental protection, preservation, and promotion. “The future of humanity is everyone’s responsibility. This is why we never get tired of telling people that Earth Day must be everyday, everywhere, for everyone,” said Earth Day Network Philippines Chairman, Dr. Metodio Palaypay. 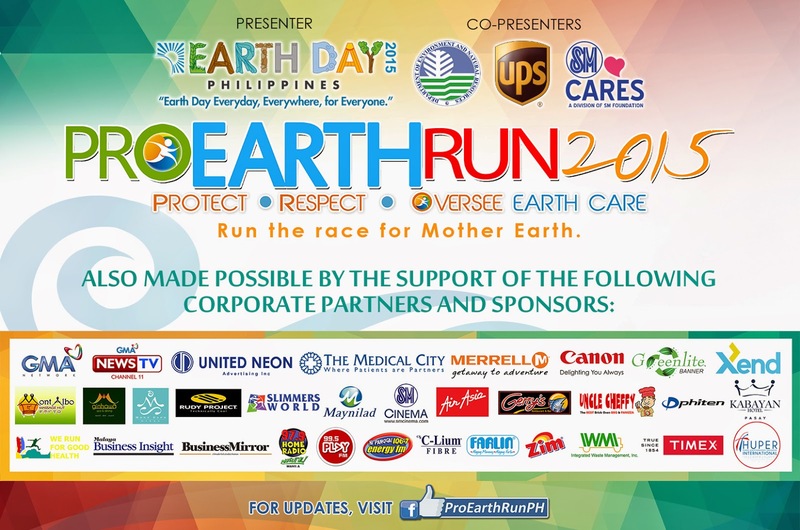 Presented by Earth Day Network Philippines, in cooperation with the Department of Environment and Natural Resources (DENR), United Parcel Services (UPS), and SM Cares, the Pro Earth Run 2015 is supported by Xend, Official Courier Partner; The Medical City, Official Medical Partner; Greenlite Banner (The Reusable Banner), Official Printing Partner; Merrell, Official Shoe Sponsor; Maynilad, Official Hydration Partner; Canon; Timex, Official Timing Partner; Slimmers World, Official Fitness Partner; Gerry’s Grill and Uncle Cheffy, Food Sponsors; Kabayan Hotel, Air Asia, Rudy Project, and Integrated Waste Management Inc. 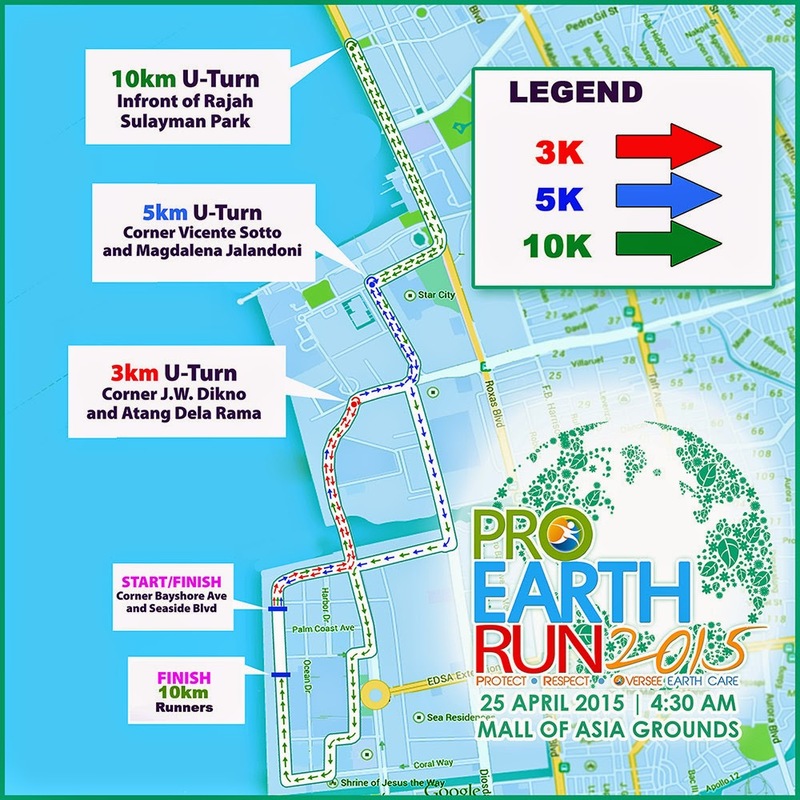 Pro Earth Run 2015 is also supported by GMA7, GMA News TV, 97.9 Home Radio,106.7 Energy FM, 99.5 Play FM, Business Mirror, Malaya Business Insight, and out-of-home-media specialist, United Neon.